It was raining persistently and the waters at Wexford Harbour were far from serene as Fine Gael delegates arrived in the south east yesterday for the party’s national conference. The conditions were possibly reflective of the party mood. That is because the continuing uncertainty caused by Brexit is creating a rippling unease among party members. Specifically this anxiety centres around the indisputable fact that the conditions for a no deal Brexit are still floating dangerously on the surface. Furthermore those questions about how to avoid a hard border in Ireland in such a scenario are growing louder. Last night, the Tánaiste was asked five times about how this could be achieved. Simon Coveney hinted at thoughts and conversations taking place between the European Commission, Ireland and Britain on this fraught subject, but he insisted there were no formal negotiations. He said whether there is a deal or no deal the way to resolve these issues will involve some form of regulatory and customs alignment. Whatever plays out it seems the fear sparked by Brexit has diminished the appetite among party members for a general election. There were rumours aplenty in the hours after the Strasbourg Agreement that a Dáil election could fit neatly with the European and Local votes on 24 May. Now the talk is returning back to a general election taking place "towards the end of the year at the earliest". In the meantime the party’s 396 council candidates and the seven who will contest the European Parliament elections are approach the starting line. They do so against the backdrop of severe criticism of the Government’s handling of health and housing issues. 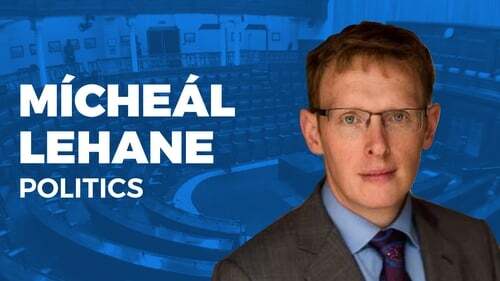 Concerns that some believe will make Fine Gael’s aim of becoming the biggest party in local government too big of a challenge. The controversy around the massive budget overrun on the National Children’s Hospital is also causing angst within Fine Gael. This is particularly troubling for the party because its core message has always been built around fiscal prudence. There were whispers too among party delegates in Wexford about the fall in the personal popularity ratings of the Taoiseach. However, they take much solace in the fact that Fine Gael’s lead in the opinion polls has remained constant since Leo Varadkar replaced Enda Kenny in the middle 2017. But the coming weeks will perhaps give the most comprehensive verdict yet of his time at the helm of Irish politics. As delegates travelled to Wexford yesterday the party sent out a text giving advice on the best route to the conference hall in order to avoid major road works. But they know that there is no pithy message available to plot a course through the potentially hazardous political journey ahead.